absolutely-love-opals has no other items for sale. 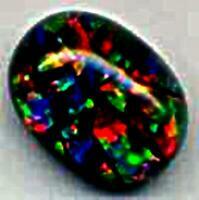 Red Dark Opal on grey opal potch1.58cts. Estimated between Thu. 2 May. and Tue. 14 May. Immediate payment of AU $60.00 is required.